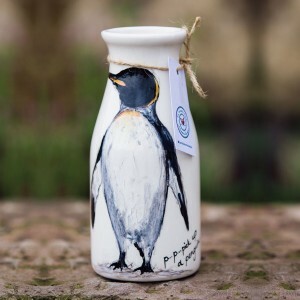 Hand painted milk bottles are part of a very unique collection, designed and hand painted by Michelle Morton, fired in the kiln at Cordon Farm Studio and finished beautifully with ribbon. 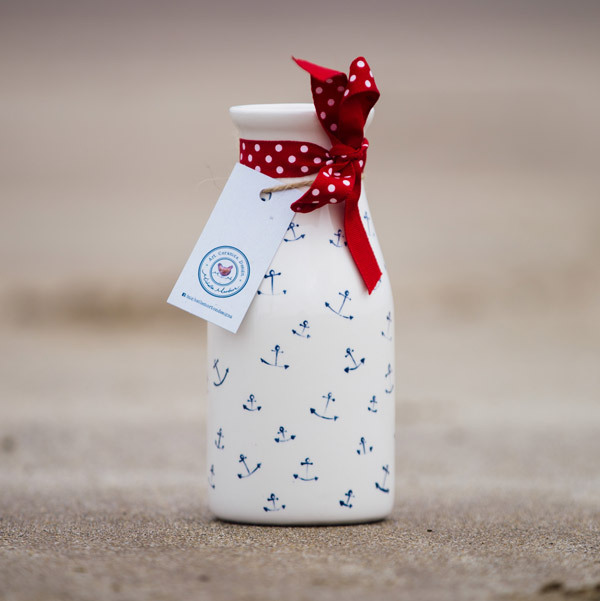 This milk bottle makes for a very unique and useful present for all those people who dislike milk served directly from the plastic container. Additionally the milk bottle is also great for your breakfast in bed tray on those long lazy Sundays. 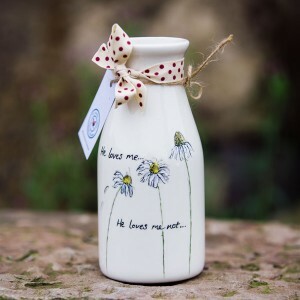 All the ceramic milk bottles can also be used as vases and are great for a couple of flowers, adding style to the whole house not just the table. 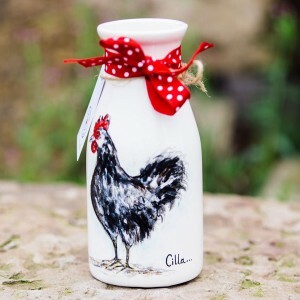 The Milk bottles are individually hand-painted to order. 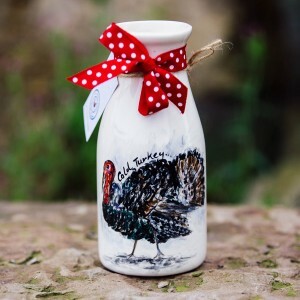 Each milk bottle is unique so variations may vary slightly from those shown here. I am very happy to work with you to create something extra special and to your personal specifications. Please contact me to discuss your ideas/requirements.